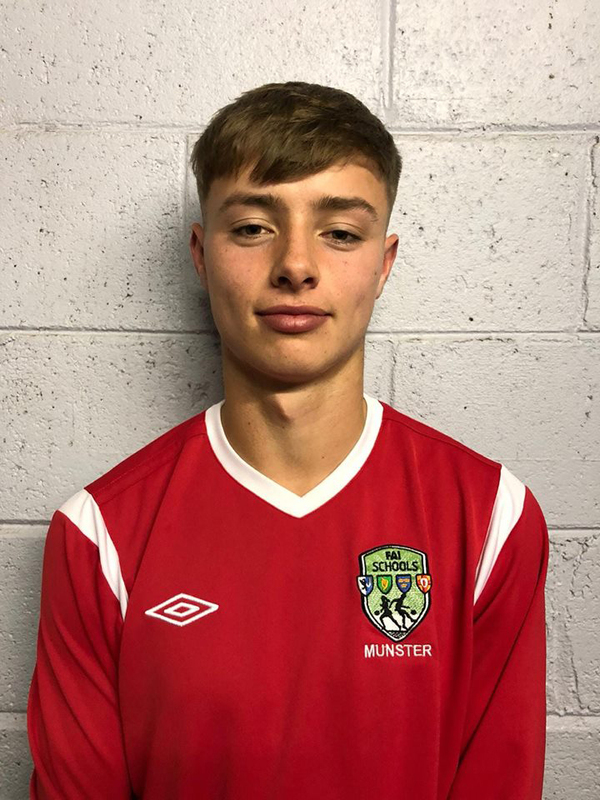 Conor Butler scored twice as Tramore AFC advanced to the last 32 of the FAI Youth Cup on Saturday with a 4-1 win over Peake Villa. He also recenlty represented Munster at the schools Interprovincials in Dublin. Villa have progressed to the next stage of the New Balance FAI Under 17 National Cup after a hard earned but deserved 3-1 win over Killarney Celtic in their clash played at Connor’s Park on Sunday afternoon last. The home side took the lead with their first attack on nine minutes when John Fredrick Tamen did well down the left-side to cross into the area for Ivan Homoski to finish past the visiting keeper Adam Carey. Callum Stringer had a chance to double the Villa lead on 13 minutes when he rose highest in the area to get on the end of a right-wing Conor Walshe corner-kick, but Killarney defender Cian McMahon headed off the line. Dylan Butler intercepted a loose clearance to race clear on goal with 33 minutes on the clock, but his effort from inside the area was deflected just inches wide of the left-hand post of keeper Carey. Villa went in at the half-time break with their noses in front, but it was the visitors that brought a fine save out of Josh Kelly three minutes into the second-half when Adam May-Keane had a first time shot brilliantly kept out. Ivan Homoski struck the post with a close-range header on 53 minutes when he got on the end of a Walshe right-wing delivery and the rebound from Rory Furlong was also over the bar. The home side doubled their lead on 70 minutes when Conor Walshe spotted the run of Dylan Butler out on the right and after cutting into the area, he beat Adam Carey with a shot with the outside of his right-foot. Killarney Celtic pulled a goal back with nine minutes on the clock when Cian McMahon played the ball in for Daniel Okurute on the right-side of the area and he drilled a low right-footed shot to the far corner of the net. Villa made sure of their spot in the next round of the competition when adding the all-important third goal on 85 minutes when Owen Oseni touched the ball forward for Conor Walshe and he finished to the net from 14 yards. Ferrybank came from two goals down to defeat Ballisodare of Sligo to book their place in the next round of the New Balance FAI Under 17 Cup. The hosts looked to have the Village Boys in trouble until Victor Maduweise pulled a goal back. Lucas Olivera pulled another goal back for Ferrybank after the Ben Bulben club extended their advantage and with minutes to play, Glenn Power popped up to score an absolute streamer to bring the game to extra time. After extra-time failed to separate the sides, it was Ferrybank that held their nerve to record a 6-5 success. Adam Griffin, David Smith, Kieran Connolly, Glenn Power and Victor Maduweise were all successful with the five penalties. When Fortune Ndlovu scored for Ferrybank with penalty number six, Pawel Tomczuk made a tremendous save to see his side into the next round of the competition. Tramore AFC have advanced to the last 32 of the New Balance FAI Youth Cup after a 4-1 win away to Clerihan on Saturday last. After victory over Peake Villa in the previous round, it was a tougher challenge for the Seagulls despite the final scoreline. After a nervy opening to the tie, it was Tramore that took the lead from the penalty spot with 30 minutes played when Cian O’Neill turned provider for Kealan Graham, who was brought down in the area and it was Conor Butler that netted from 12 yards. The sides were level six minutes later through another penalty before Tramore regained the lead on the hour mark when Michael Brennan sent in a corner kick that was forced to the net by central defender Daire Burke. Clerihan looked dangerous as the minutes ticked away but a clinical finish from Zak O’Connor and a header from Butler, again from a Brennan corner kick, saw Tramore run out 4-1 winners and advance to play Willow Park in Graun Park in early December.